Since Nokia has pretty much abandoned all other OS options after being bought by Microsoft, we can only hope they will leave their legacy to some sort of surrogate company. 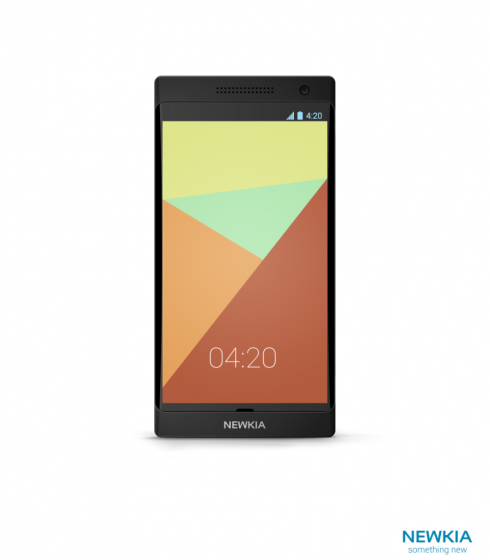 Some of the Nokia employees who have migrated lately may help develop a Nokia Android concept. The render here is created by Jsus and it’s branded Newkia, which is a real thing. Newkia is a startup based in Singapore and founded by Thomas Zilliacus, who worked 15 years for Nokia. He was pretty big in the company, serving as Asia-Pacific CEO for 7 years. Right now Zilliacus is leading investment company Mobile FutureWorks and he wanted to buy out Nokia a year ago. This means he’s got the finances to start up a big company to carry on the Finnish legacy. He will build smartphones using Nokia expertise and feature Android on them. I’m sure he’ll draw hundreds of discontent former Nokia employees and do a fine job. As far as the concept is concerned, it reminds me of a cross between an Xperia Nexus and a Lumia, if I can call it that.